Fixed Fly Jib/Swing Away: 36.5-61ft. / 11.1-18.6m. Offsetable at 2˚, 20˚, and 40˚. Counterweight / Ballast: 16,000lbs. / 7,260kg. Axle / Drive: 4 Axles. 8x4 Drive. Tail Swing: 13'1" without Counterweight. 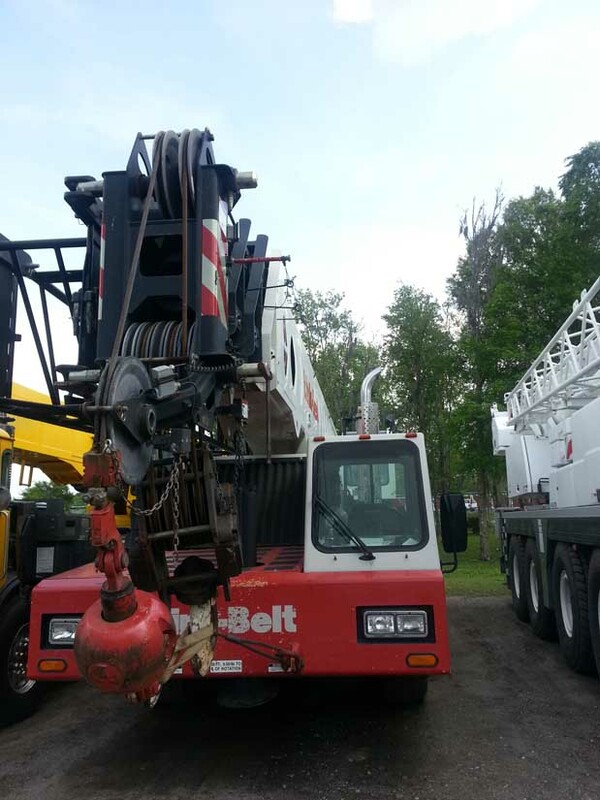 13'8" With Counterweight. / 4.0 without Counterweight 4.2 with Counterweight.